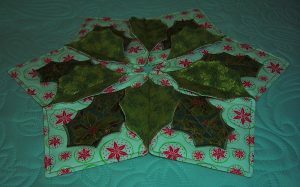 Yes, I made yet another Christmas Table Centre! 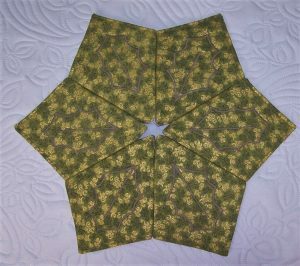 This time the design is more of my own original take on the pattern from Thimble Art. As a previous make stretched when sewing a curved petal border with satin stitch, I re-designed this one so that the outer edges are on the straight grain. 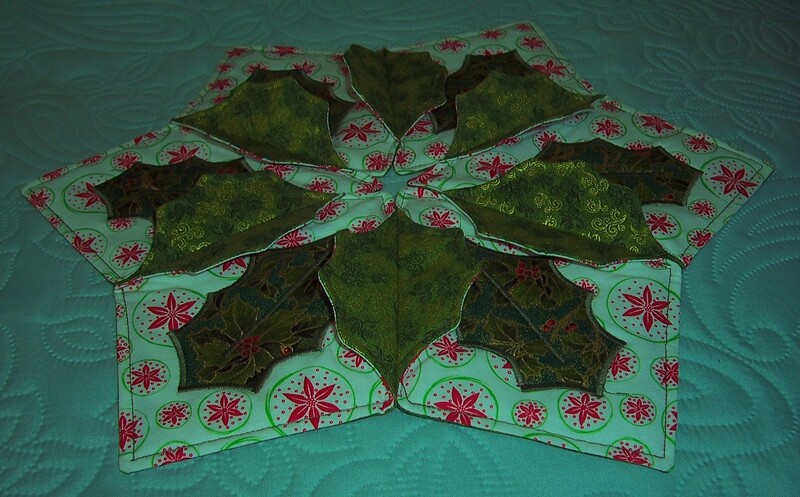 I kept the holly leaf joining sections and repeated the appliques. To make this centre I used 2 fat quarters for the petals plus some scraps for the appliques. 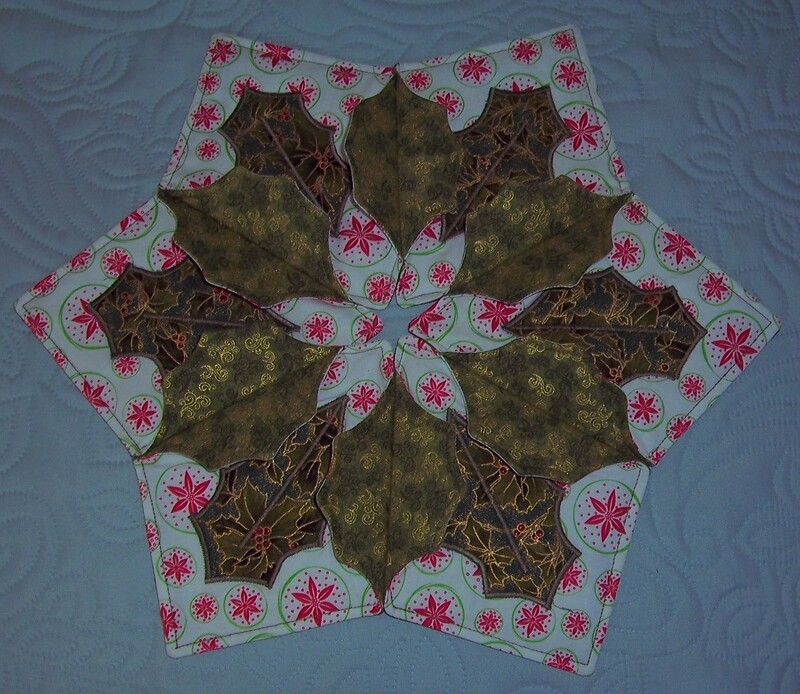 The reverse petals have been padded with fusible wadding and the appliques are interfaced with Vilene F220 fusible . This centrepiece is supposed to be for my coffee table but may well find its way to someone’s Christmas parcel!